A Central Coast stabbing victim’s outraged after the man who attacked him was sentenced to 200 hours community service. 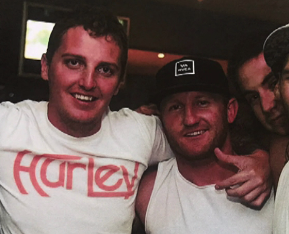 Adam “Snitch” Swindell and his mate Greg Gibbins were stabbed outside a Toukley pizza shop in 2015. Mr Gibbins died of his injuries. His killer Bradley Brooks was sentenced to 22 year in prison in 2017. Brooks’s brother Joel, pleaded guilty to a lesser charge of reckless wounding of Mr Swindell and was sentenced to community service yesterday. He says the punishment doesn’t match the crime.